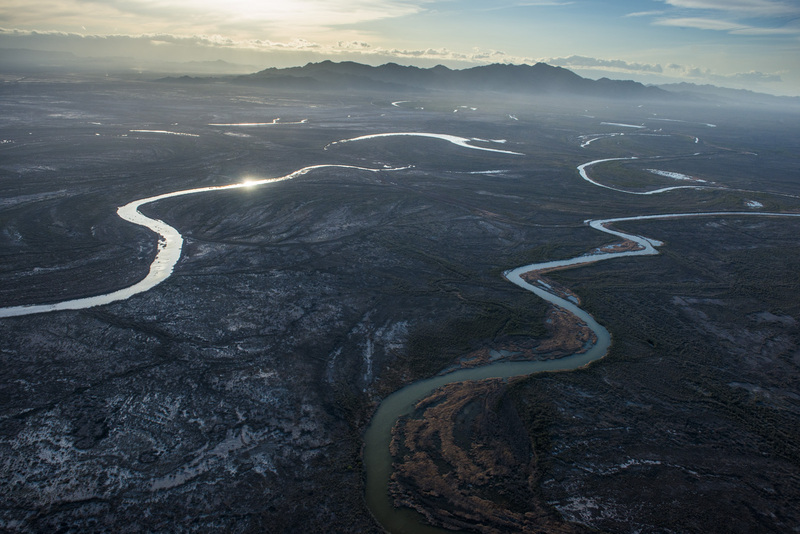 Aerial Images of the CO River Delta in Mexio with a high tide flowing up sections. Some hoped the 2014 historic pulse flow moving its way across the dry Colorado River Delta, part of a binational agreement for restoration, would reach the sea. Jury is still out.